Home > Racing News > Jackson & Decker Win, Salemi RU at Orlando World Street Nationals!! Jackson & Decker Win, Salemi RU at Orlando World Street Nationals!! Posted November 12, 2018 by NCRC & filed under Racing News. 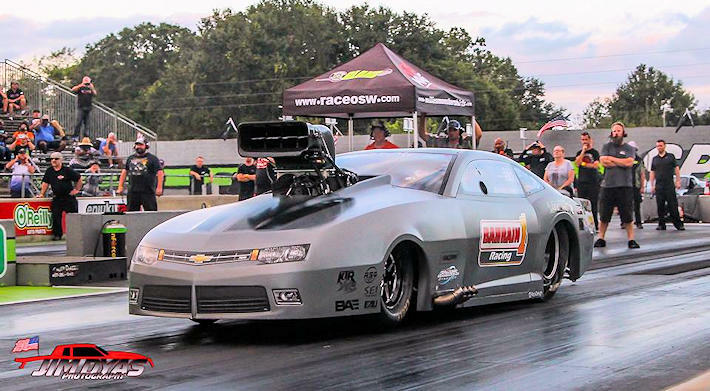 Neal Chance had a lot of customers running really well at the World Street Nationals in Orlando, but Melanie Salemi and Steve Jackson both had what it took to go all the way to the finals. Salemi was #1 qualifier with a 3.648 and Jackson on her heels with a 3.662 – both were very strong during qualifying and eliminations with multiple 3.6X passes setting up for a nail biter of a final round. In the end Jackson came out on top with a strong 3.64@210 and Melanie went an off pace 3.87 for the runner up. Congratulations to Steve Jackson and the Bahrain 1 Racing Team, and to Melanie and Jon Salemi Team on their Runner Up! Mike Decker aka “Hollywood” defeated Mark Woodruff with a 3.86 to Woody’s 3.88 to take the win in Outlaw 10.5! 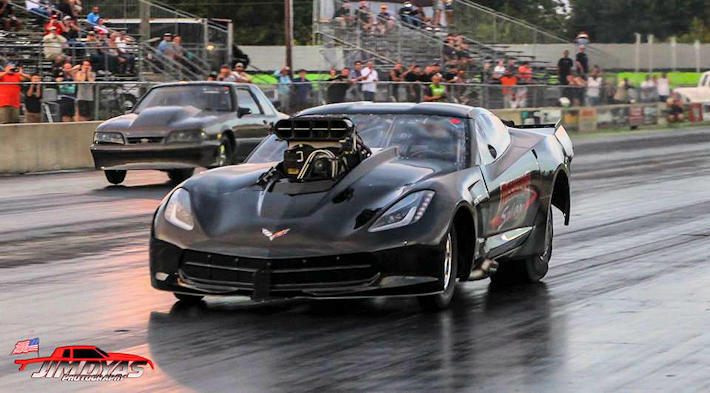 Decker had his Vette dialed in, He qualified #2 with a 3.828@196.56 and stayed strong all weekend! Congratulations Mike and the Decker Salvage Team!! !